Please note: This posts contains medical terminology, descriptions of bodily functions and discussions on mental health. Please be aware if these are trigger warnings for you! I have been absent from the world of blogging recently. 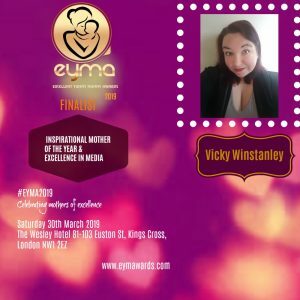 I have missed out on so many events, on meeting up with friends, talking to brands, networking, and even meeting the very lovely Louise Pentland, too. If you have been following my Facebook, you may have seen I have been poorly and have spent the majority of my summer in hospital. 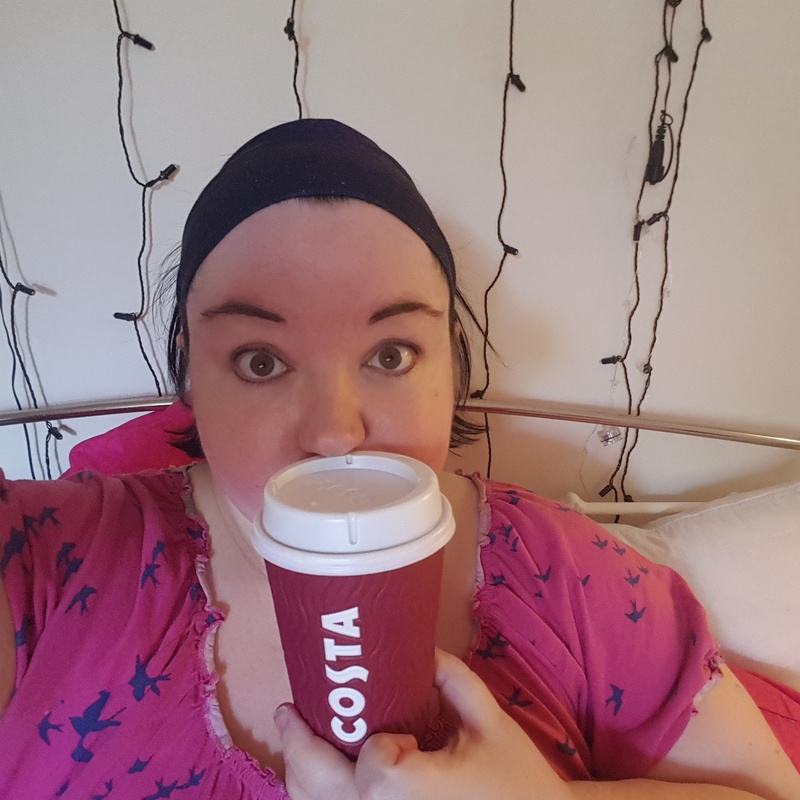 During July I was not feeling myself, my emotions were running high with the thought of Nathan leaving Primary School and blogging events were everywhere. I was busy but I found myself getting more tired and I started to skip out on commitments because I was not feeling great. With having fibromyalgia, aches and pains are the norm. New twinges and issues are always dismissed my health professionals as another “fibro flare” and advised to do the normal things of being mindful of your body. I wasn’t mindful. Well, I probably wasn’t mindful enough as what I thought was IBS turned out to be something more when at the end of July I started passing blood when going to the toilet. At first I ignored it. I went to bed and tried to rest. Friends came over for a bbq and I was so fatigued I could not even hold a plate of food. I sat inside and watched the fun through the window, wondering why I was feeling so low. By the Monday morning the bleeding had not subsided and I took myself to my GP who immediately sent me to hospital. From 1st August I have since been admitted seven times, this one now as I blog from my hospital bed is number eight. Eight admissions in ten weeks. Over 40 nights spent in a hospital bed. Seen daily by doctors, medicated up to my eyeballs to try and manage my pain. Codiene, oramorph, paracetamol, gabbapentin, diazepam, dyhydrocodeine, blood thinners, anti sickness, and others which I can’t remember. But the real reason is why? Why am I in all this pain? Why do I keep being sent back to hospital? And most importantly, why are the hospital not treating the root cause of the issue? That I cannot answer. What I do know is that I have all the symptoms of chrons disease or colitis – otherwise known as inflammatory bowel disease – but they cannot diagnose because the computerised tests say no. On the scans, they can see the inflammation, on the blood tests they can see the abnormalities, but they cannot treat it because the computer says no. Normally people having flares, pain, bleeding, and all the other lovely symptoms that go along with IBD, are given special medications, infusions so your immune system does not attack itself, steroids so you can get better quicker and a specialist team to advocate your care. In ten weeks I have none of that. I have been given more and more drugs on higher doses to keep my pain at bay, but this does not fix the problem. In fact it makes my other conditions, especially my mental health, suffer. I am in a position where my mind thinks I can do things but my body fails me, and fails me very quickly as I keep finding out. Doing something as simple as hoovering up will mean I will break out in a cold sweat and look like I have just come out the well, like Samara in The Ring, in only a couple of minutes. My pulse will rocket to above 150bpm and I will go faint. This will later result in more bleeding when I use the bathroom and nausea. It ends with frustration. I feel imprisoned to the confines of my bed. Only getting up if I actually need to. I feel well, I want to do things but if I do, I almost certainly end up back in hospital shortly after. This is no way to live a life. To live with the uncertainty and to be passed from consultant to consultant at the hospital because they consider you a hypochondriac. 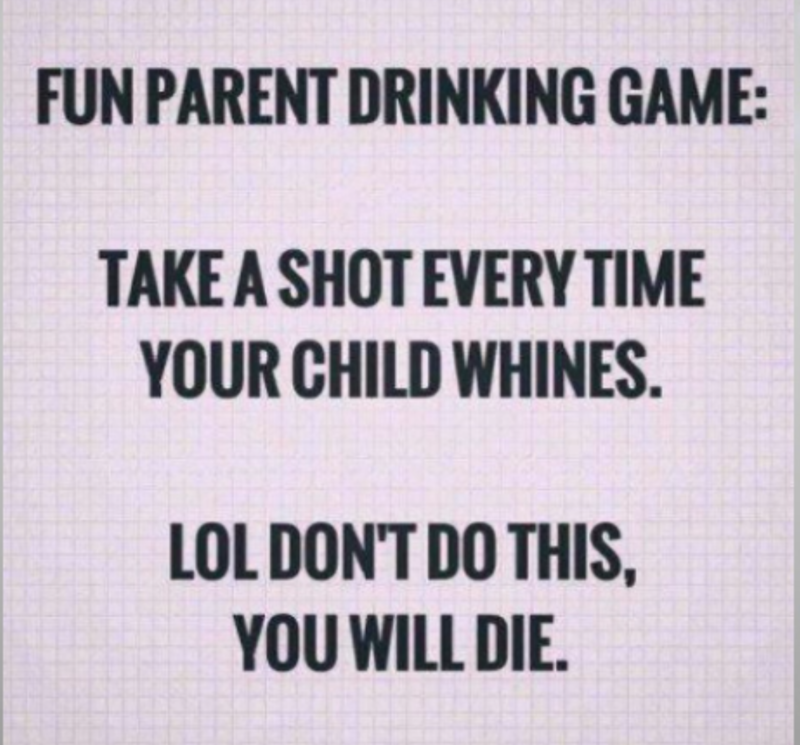 To live in fear of going out because it will make you bed bound for days. To have to fight for doctors to listen to you, for you to have to research and dictate how they should be caring for you. To worry what they have missed because of the family history which they have not taken into consideration. I will be honest, the last few months have been some of the worst of my life. I have got by with the support of my friends and my online family of other bloggers who have been there to listen. I have tried to turn the events into humour, to inflict comedy into the situation in an effort to get by, but even that now is running thin. Instead of light hearted observations of crazy old women feeding sandwiches to bedside cabinets, it has become the question as to what do we do when the NHS fails us? I am obviously not getting the medical care I need, is this due to cuts? To incompetence? To this hospital and it’s staff? Or is it due to the government and the restrictions which are in place on staffing, doctors and services? We normally stand proud of our health care system but what can you do when you lose faith in that which is there to help you? 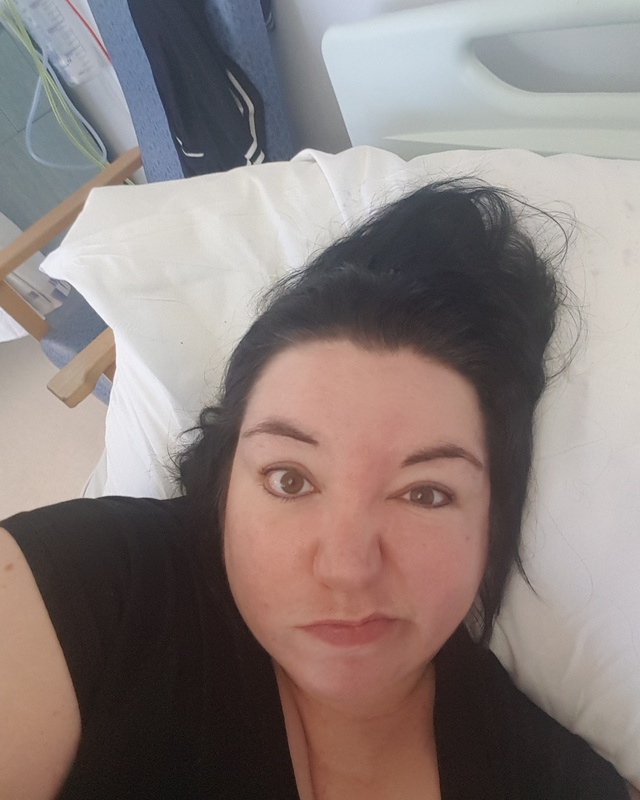 I am currently on day three of my current stay, the surgical team have discharged me to gastroenterology as they do not think there is a reason to cut me open. Gastro have not seen me but looked at my file and discharged me back to the care of the surgical team. I am now in a limbo where nothing is done, each department is palming me off on the other and I am still in pain and still suffering. Would you like some paracetamol? Love, hugs and night time blood pressure checks!